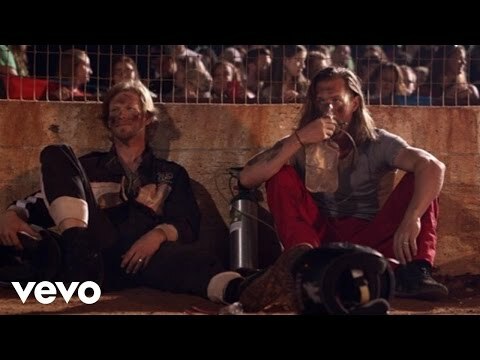 Florida Georgia Line is the country singer and songwriter duo of Tyler Hubbard (from Monroe, Georgia) and Brian Kelley (from Ormand Beach, Florida). Hubbard and Kelley met when both were students at Nashville's Belmont University, and they began writing songs together between classes. They were soon playing local clubs, quickly building a fan following on the Southeast club circuit, and developing a sharp contemporary country sound. They decided to test the water by starting out with a mini album called "Anything Like Men" in December 2010. They got the attention they needed when their song "Black Tears" were re-recorded by Jason Aldean on his 2012 album "Night Train". They signed with Craig Wiseman's Big Loud Mountain record label and entered the studio with producer Joey Moi to track a debut EP, It'z Just What We Do. 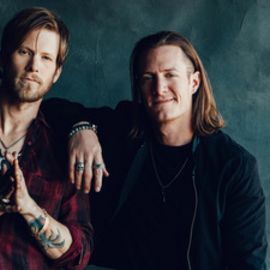 The pair broke into the scene in the spring of 2012 with the infectious summer single "Cruise," a song that blended cruising country back roads and farm towns with ragged drums and layers of rock guitar, sounding a bit like a next-generation Brooks & Dunn. 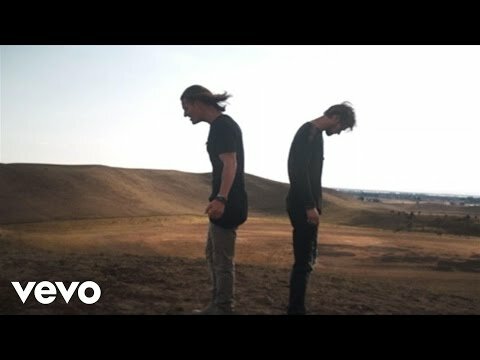 Florida Georgia Line is like a fresh air in the country music scene that doesn't see many new artists coming into it like in the other genres. "We really built a good foundation of friendship above all," Tyler said, "and that's what made it work. Everything we've done together--writing, music, singing--it's come really easily and naturally. It was us doing it because we wanted to." Their work paid off futher when they broke into Billboard Hot 200 with their first full-length album "Here's to the Good Times". Released in December 2012, it peaked at No. 7 on the album chart and climbed to No. 2 on the country chart. Their single "Get Your Shine On" took them to the top 5 on the country song chart for a second time. "Cruise," hit the Top 10 just 14 weeks after its release, faster than any debut since Brooks & Dunns "Brand New Man." It's the kind of affirmation few young artists ever experience, and yet was just the cap on a year that saw Brian Kelley and Tyler Hubbard thrill audiences on tour dates with Alabama, Brantley Gilbert and Jake Owen; cut an EP and their first album HERES TO THE GOOD TIMES with producer Joey Moi (Nickelback, Jake Owen) and sign a label deal with Republic Nashville -- after selling nearly 200,000 digital downloads independently. 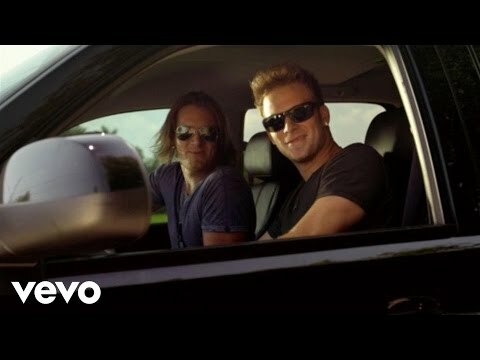 To date, "Cruise," alone has sold well over one million; reached #1 on the iTunes Country Singles Chart and helped secure them a spot on Luke Bryans "DIRT ROAD DIARIES TOUR" in 2013. CMT : News : Florida Georgia Line Showing Fans a "Good Time"
Having recently hit Number One on the Billboard country album chart and nestled themselves in the top 10 of the pop charts, Florida Georgia Line picke. Florida Georgia Line is telling their side of the story. Florida Georgia Line talk their continuing success, date night playlists and wanting to work with Miguel. Florida Georgia Line and Backstreet Boys debuted their song "God, Your Mama and Me" at the Nashville stop of the Dig Your Roots tour.